When Elizabeth Bekolay was just a newborn baby straight out of the hospital, her mother took her to Little Red River Park, a 1200-acre boreal forest near Prince Albert, for the afternoon. It was an opportunity for her, while still very young, to imprint on trees and forest sounds rather than an indoor setting. As Elizabeth grew older, her interest in the natural environment continued to grow. She went on several hikes with Kahlee Keane, a Saskatchewan eco-herbalist and educator with a deep interest in the protection of wild plants and read some of her books (e.g. The Standing People: Field guide to medicinal plants of the prairie provinces). After completing a Certificate in Ecological Education at the University of Saskatchewan, Elizabeth completed an internship with the Prince Albert Outdoor School and volunteered with the program the following year. She enjoyed it so much that she returned to the University of Saskatchewan planning to obtain her Bachelor of Education in order to teach in Prince Albert. But halfway through the program, Elizabeth realized that she didn’t know enough science so she switched programs and obtained a Bachelor of Science majoring in Biology. She worked at the Beaver Creek Interpretive Centre in the summers, spending time with children, going for daily hikes, and watching plants progress from bloom to seed. She also worked with the University of Saskatchewan Ecology Camp and the Saskatoon Public School’s Brightwater Science and Environmental Program (where she still works). For many years, Elizabeth had salvaged native plants from development areas and relocated them in her garden. Forest plants went in shady areas, and the plants thrived. Her garden became a nature retreat within the city. In 2010, Elizabeth and volunteer Jordan Schultz expanded the salvage operation with the creation of a company called Lichen Nature. Friends and family pitched in too. Gabriel, Elizabeth’s oldest son, designed the Lichen Nature logo and Alastair, the youngest, initiated the frog rescue effort from the wetlands that were scheduled to be buried. 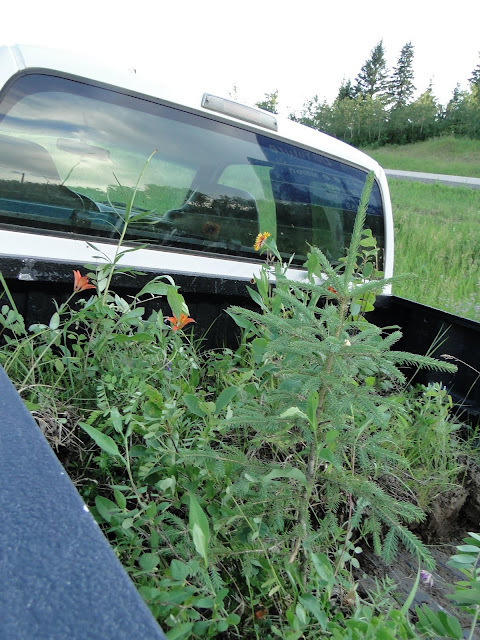 The summers of 2010 and 2011 were largely dedicated to salvaging plants from the Nisbet Provincial Forest, trying to stay one step ahead of the road construction equipment which was expanding the highway to Prince Albert. It was an impossible task, and they were able to rescue less than 1% of the native prairie and boreal transition species before they were destroyed. Elizabeth and Jordan would go out with shovels and dig as big an area as they could each carry and as deep as the shovel would go. Each plug would contain several plant species and, by taking all the soil, the plug would include the micro flora the plants needed to grow and thrive. Lichen Nature would then identify a resident who wanted a native garden, prepare the site by cleaning out the roots of other plants, and lay out the plugs, leaving as little space as possible between them. They have continued with this work in 2011, replanting a dozen gardens in the past two years. There is a growing interest in permaculture, particularly now that the Permaculture Research Institute of Saskatchewan is training more and more people. Permaculture experts try to design holistic, sustainable gardens that provide food and wildlife habitat as well as replenishing the soil. Rather than huge expanses of a single crop, they create a forest of food with a canopy of fruit trees, a layer of shrubs (Saskatoon berries, raspberries), and ground cover. 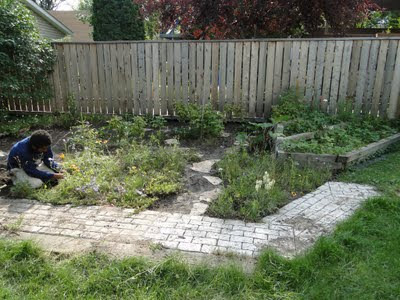 Unfortunately, permaculture has not tended to use native plants. Elizabeth and her business partner, Shaun Abbs, have spent the past summer developing methods for combining permaculture and native plants, and they believe that native plants would be used more intensively if they were economical and more widely available. Lichen Nature has found it difficult to combine a push to salvage as many plants as possible during the short summer months with replanting residential gardens. “If I was more than one person, I’d be rescuing plants and then propagating them,” Elizabeth says. She is talking with other individuals and organizations and hopes that they will be able to develop some joint projects. For example, Will Stacey, a member of Friends of Prince Albert National Park, has established a Community Native Nursery and distributes native seedlings free of charge (courtesy of SaskPower) for planting within the Park. He hopes that only native plants will be planted in the Waskesiu townsite in the future. Elizabeth believes that biodiversity is essential for the health of our ecosystem. So much development is currently happening in Saskatchewan, and there is no legislation requiring the salvage of the native flora. “Every environmental impact study should contain a provision for salvaging a certain percentage of healthy biodiversity from the site, either for future site reclamation or for reclamation of similar sites nearby,” she says, pointing to Sudbury, Ontario, which has successfully undertaken a large-scale ecological salvage project as part of its greening of an industrial city. Similarly, The Green Project is a community-wide effort to accelerate the restoration of the forests in Flin Flon and Creighton. 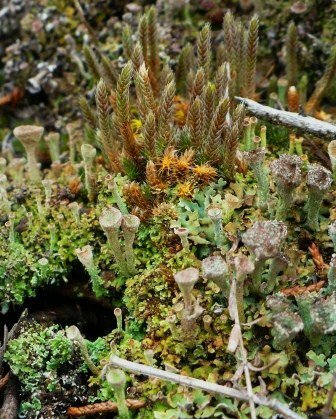 You can learn more about Lichen Nature’s work on their website and subscribe for email information, such as profiles of native plants. You can also like Lichen Nature’s Facebook page. Be sure to contact Lichen Nature at adopt_an_ecosystem@yahoo.ca if you know of any development sites (housing subdivisions, agricultural expansions, mining) that need an ecological salvage effort. Photographs were provided by Lichen Nature.